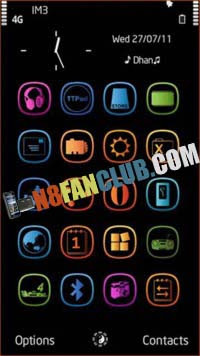 Metro Black theme for Symbian Smart Phone consists of Metro theme icons on the simple black background. This theme also helps to save the battery consumption due to black background. Its compatible with S^3, Anna and Belle devices.